If you’re a kid or a parent, you understand the importance of slime. For some reason children are drawn to anything messy, gross, dirty, wet or slimy. Turn on the water and out of nowhere children appear. Walk through the park after some rain and you will find kids jumping puddles, or running through the mud. 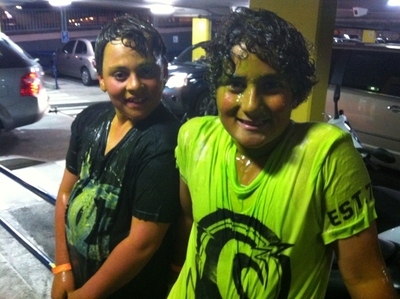 Promise children slime and you have thousands of kids begging their parents to spend lots of money on Nickelodeon Kids Choice Awards. 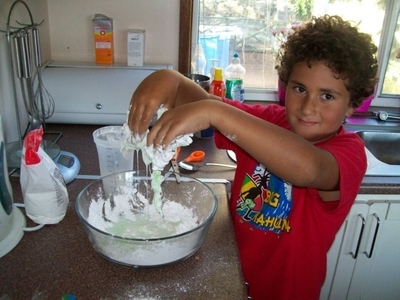 So if you want to keep your kids happy for a while and are not able to make it to the next Nick awards, why not make some slime at home. Add more water and keep stirring until mixture turns into slime. If you punch the surface of the slime fast, it will feel hard. Put your hands in the slime and it will feel wet and runny. According to Questacon Science Squad, the reason this happens is when cornflour slime is punched, a large shear force is applied. The cornflour particles lock together, increasing the viscosity (tendency to resist flowing), and the slime feels like a solid. When the slime is moved more slowly, a smaller shear force is applied. 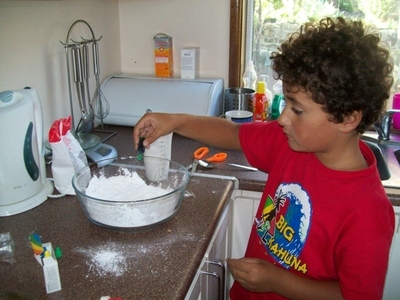 The cornflour particles have time to roll over each other with water flowing between the particles. In this case the fluid has a lower viscosity and flows like a fluid. You can also make tasty edible slime by combining 450ml of sweetened condensed milk and 1 tablespoon of cornstarch in a saucepan, over low heat. Stir and heat until the mixture thickets. 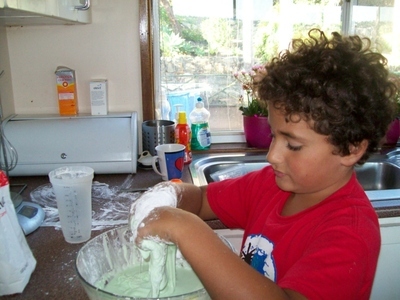 Stir in food colouring and 2 drops of vanilla (or other flavouring) and allow slime to cool. 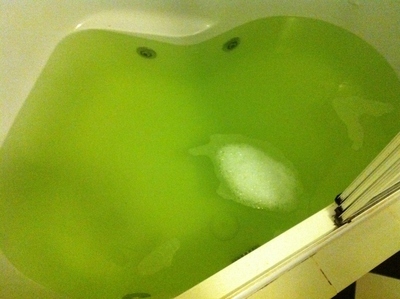 The good news is that if your kids get covered from head to toe in slime, simply wash them in the bath. Oh no ... I can see green is the colour of your slime too ... must be universal :) Perhaps you could do the edible slime pics Natasha.